I’m a lexicographer. I make dictionaries. And my job as a lexicographer is to try to put all the words possible into the dictionary. My job is not to decide what a word is; that is your job. 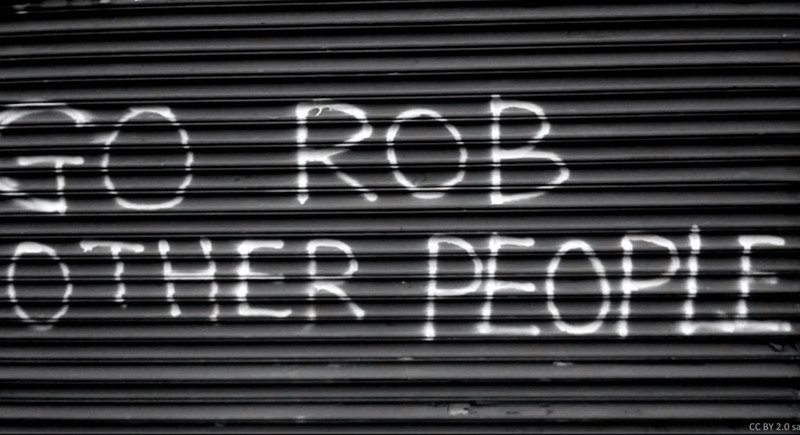 0:25 Everybody who speaks English decides together what’s a word and what’s not a word. Every language is just a group of people who agree to understand each other. Now, sometimes when people are trying to decide whether a word is good or bad, they don’t really have a good reason. So they say something like, “Because grammar!” (Laughter) I don’t actually really care about grammar too much — don’t tell anybody. 0:51 But the word “grammar,” actually, there are two kinds of grammar. 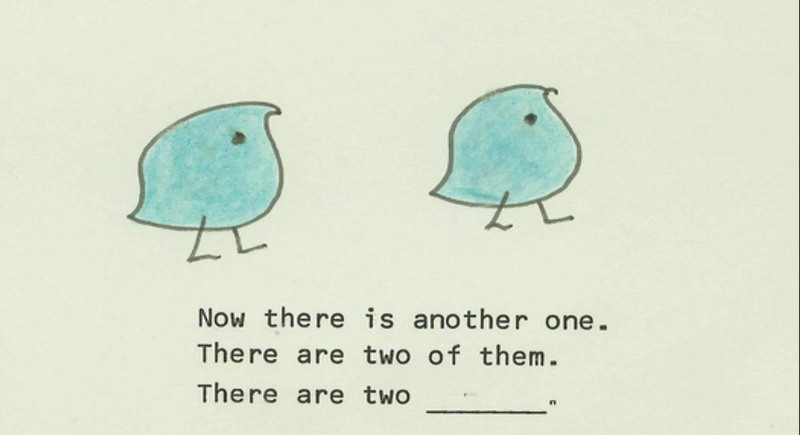 There’s the kind of grammar that lives inside your brain, and if you’re a native speaker of a language or a good speaker of a language, it’s the unconscious rules that you follow when you speak that language. And this is what you learn when you learn a language as a child. 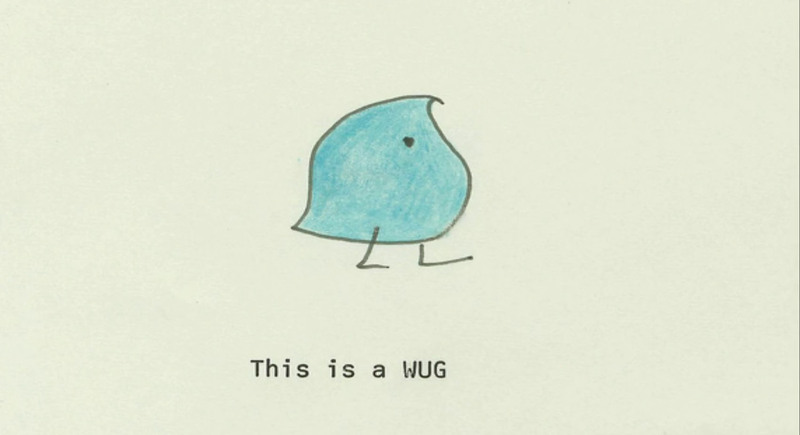 And here’s an example: This is a wug, right? It’s a wug. Now there is another one. There are two of these. There are two … Audience: Wugs. Erin McKean: Exactly! You know how to make the plural of wug. That rule lives in your brain. You never had to be taught this rule, you just understand it. This is an experiment that was invented by a professor at [Boston University] named Jean Berko Gleason back in 1958. So we’ve been talking about this for a long time. 1:36 Now, these kinds of natural rules that exist in your brain, they’re not like traffic laws, they’re more like laws of nature. And nobody has to remind you to obey a law of nature, right? When you leave the house in the morning, your mom doesn’t say, “Hey, honey, I think it’s going to be cold, take a hoodie, don’t forget to obey the law of gravity.” Nobody says this. Now, there are other rules that are more about manners than they are about nature. So you can think of a word as like a hat. Once you know how hats work, nobody has to tell you, “Don’t wear hats on your feet.” What they have to tell you is, “Can you wear hats inside? Who gets to wear a hat? What are the kinds of hats you get to wear?” Those are more of the second kind of grammar, which linguists often call usage, as opposed to grammar. 2:27 Now, sometimes people use this kind of rules-based grammar to discourage people from making up words. And I think that is, well, stupid. So, for example, people are always telling you, “Be creative, make new music, do art, invent things, science and technology.” But when it comes to words, they’re like,”Don’t! No. Creativity stops right here, whippersnappers. Give it a rest.” (Laughter) But that makes no sense to me. Words are great. We should have more of them. I want you to make as many new words as possible. And I’m going to tell you six ways that you can use to make new words in English. 3:06 The first way is the simplest way. Basically, steal them from other languages. 4:45 You can also make words by changing how they operate. This is called functional shift. You take a word that acts as one part of speech, and you change it into another part of speech. Okay, who here knew that “friend” hasn’t always been a verb? “Friend” used to be noun and then we verbed it. Almost any word in English can be verbed. You can also take adjectives and make them into nouns. “Commercial” used to be an adjective and now it’s a noun. And of course, you can “green” things. 5:38 Another way to make words in English is to take the first letters of something and squish them together. So National Aeronautics and Space Administration becomes NASA. And of course you can do this with anything, OMG! 5:49 So it doesn’t matter how silly the words are. They can be really good words of English. “Absquatulate” is a perfectly good word of English. “Mugwump” is a perfectly good word of English. So the words don’t have have to sound normal, they can sound really silly.